March is U.S. Women’s History Month, which celebrates the historical and scientific contributions made by women. The 10 women below have made profound contributions to the history and development of government technology. After completing her Ph.D. in mathematics at Yale University, Grace Hopper joined the United States Naval Reserve during World War II, eventually reaching the rank of admiral. 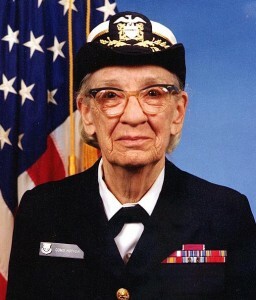 She worked on the Mark I, II, and III, receiving the Naval Ordnance Development Award for her programming work on those computers. She also worked on UNIVAC I, the first large-scale digital computer. Hopper is perhaps best known for her work in programming language. She developed a program known as the FLOW-MATIC, which enabled computers to understand commands in English, rather than traditional binary. The Electronic Numerical Integrator and Computer (ENIAC) was announced in 1946, and became the first large-scale, programmable computer. Though billed as a general-purpose computer, it was originally designed to calculate ballistics trajectories. in mathematics. From there Bartik was hired by the Army to work at the University of Pennsylvania Army Ordnance at Aberdeen Proving Ground to calculate ballistics trajectories by hand. She and the other six programmers learned to program the ENIAC through schematics alone, and she later worked on the BINAC and UNIVAC computers. Frances “Betty” Snyder Holberton (1917-2001) – Though she majored in journalism, Holberton was hired by the Moore School of Engineering, and later was chosen to work on ENIAC. After the war, she worked at the National Bureau of Standards and helped to develop UNIVAC. She also wrote the statistical analysis package for the 1950 U.S. Census. Kathleen McNulty Antonelli (1921-2006) – Born in Ireland, Antonelli graduated from Chestnut Hill College in Pennsylvania with a degree in mathematics. She, along with friend Frances Bilas, was hired to calculate ballistics trajectories and they were later chosen to work on ENIAC. Frances Bilas Spence (1922-2012) – Bilas graduated from Chestnut Hill College with a degree in physics and mathematics. She worked on ENIAC during the war and for three years afterward. Marlyn Wescoff Meltzer (1922-2008) – She graduated from Temple University and was hired by the Moore School of Engineering in 1942. 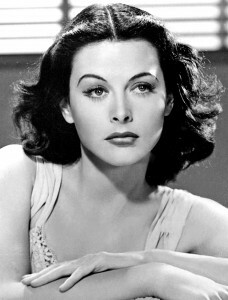 She joined the ENIAC team in 1945. Ruth Lichterman (1924-1986) – She graduated from Hunter College with a degree in mathematics. Like the other programmers, she was originally hired to calculate ballistics before joining the ENIAC team. Goldstine was a teacher of mathematics at the Moore School of Engineering, and taught the original six women who programmed ENIAC. She later wrote the first ENIAC operations manual. Though more widely known for her acting career, Lamarr and composer George Antheil developed the first frequency-hopping technology during WWII. The technology appeared in navy ships in 1962 and is the predecessor to today’s Wi-Fi and Bluetooth technology. Though she spent much of her career working in the public sector for IBM, Allen worked to develop programming languages and security codes for intelligence work at the National Security Agency. Allen’s work greatly influenced compiler research and practice by introducing many of the abstractions, algorithms, and implementations that created the basis for automatic program optimization technology.